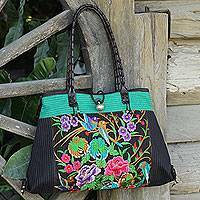 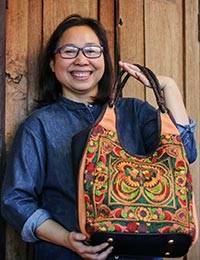 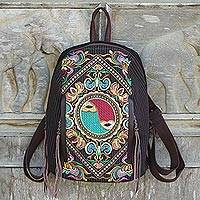 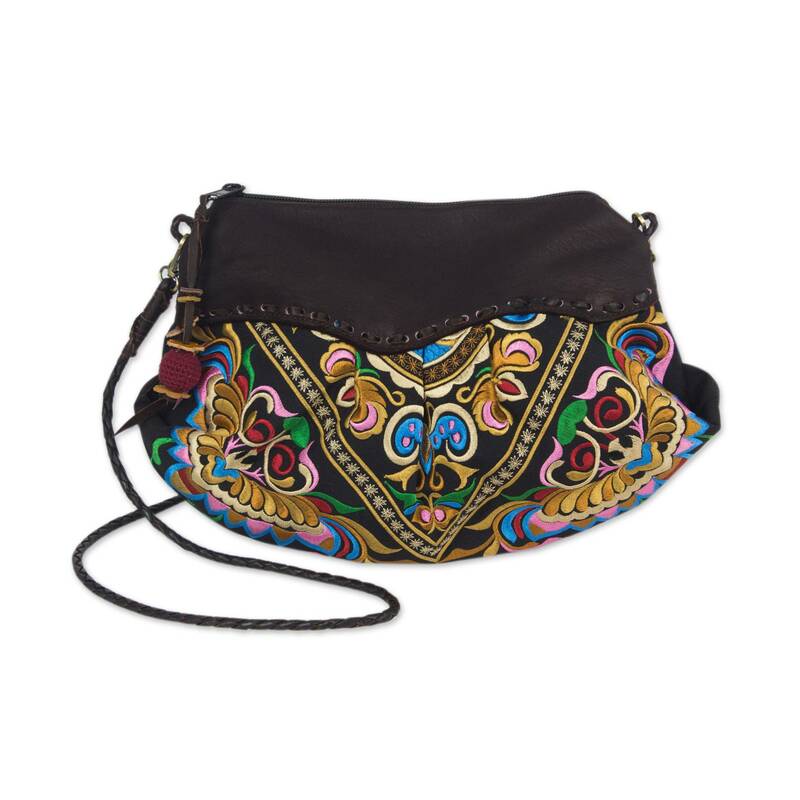 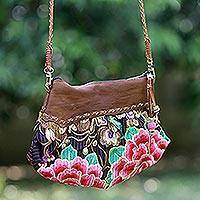 From Thailand's Chirada, this colorful handbag features lavish machine embroidery. 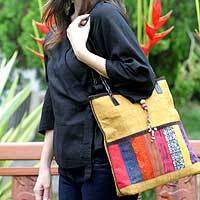 The motifs are inspired by ancient Mandarin art. 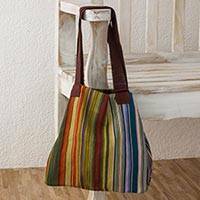 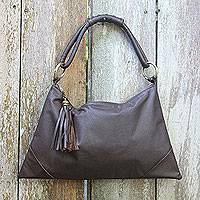 Trimmed with espresso brown leather, this versatile shoulder tote is perfect for casual fashions. 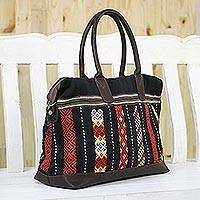 The braided leather shoulder strap is detachable so the bag can be used as a clutch, and the bag is lined in solid brown.